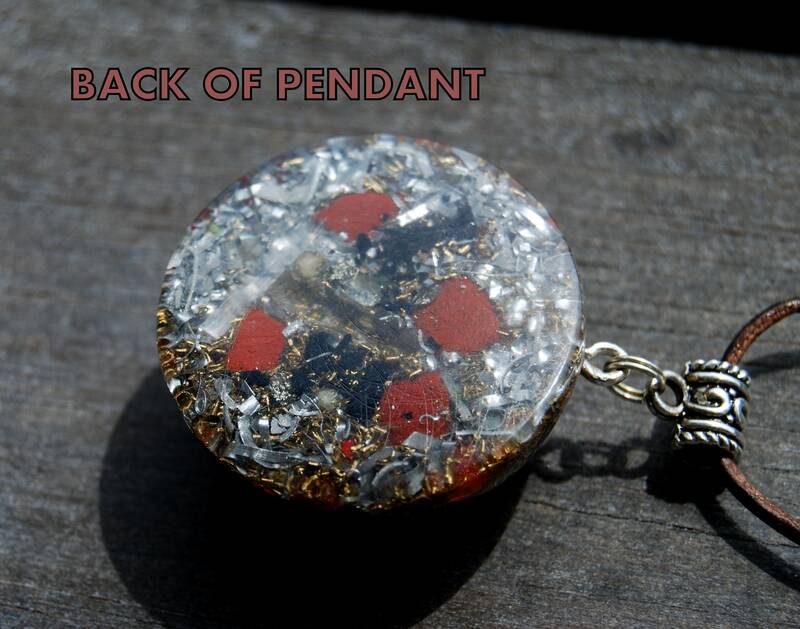 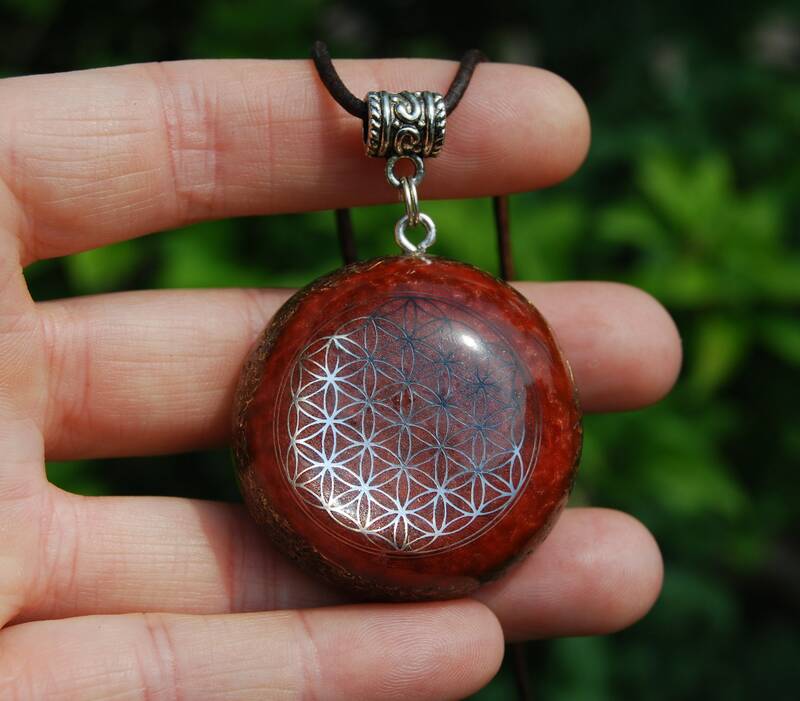 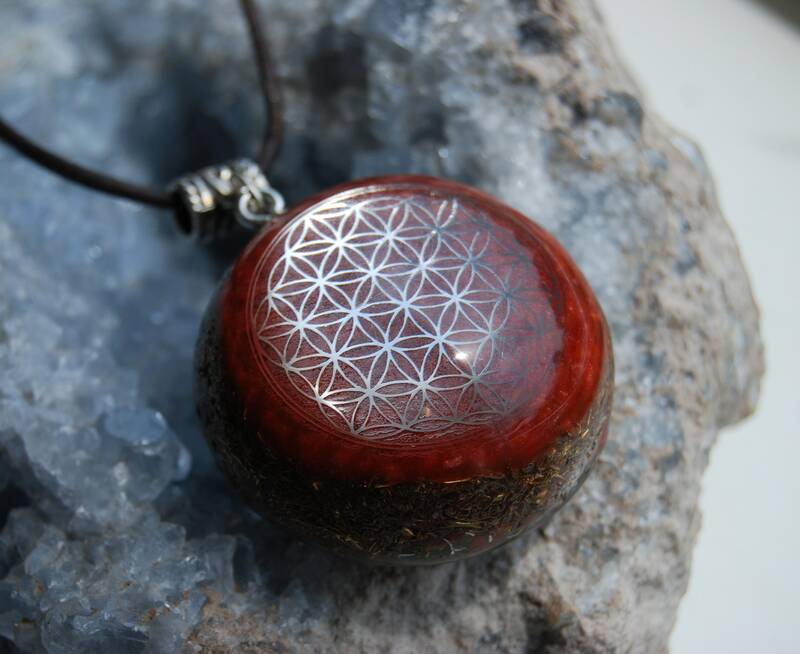 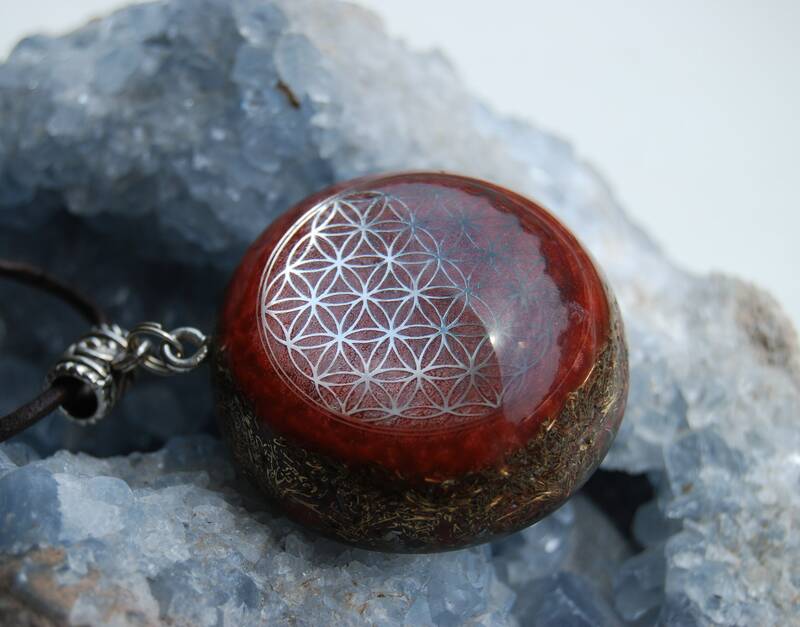 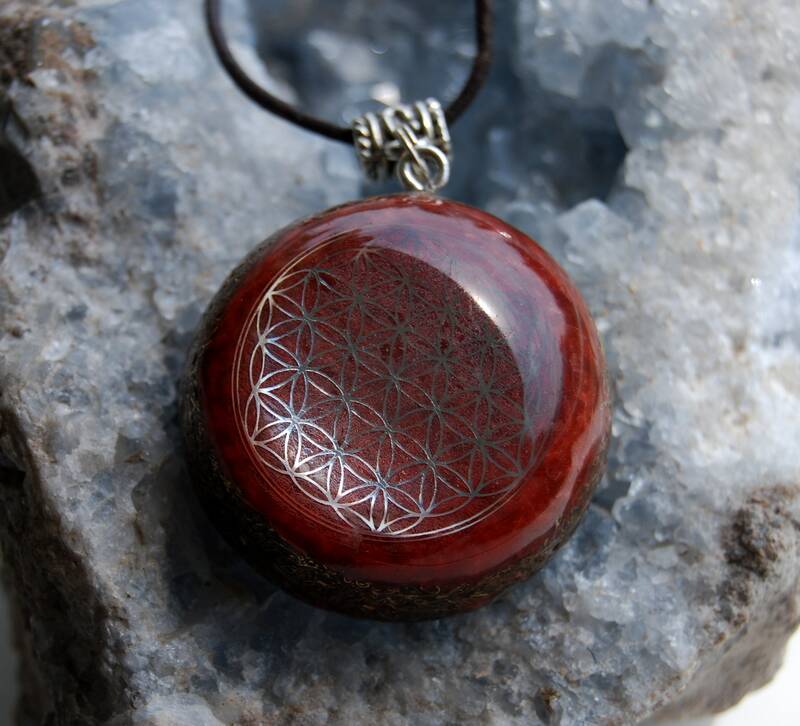 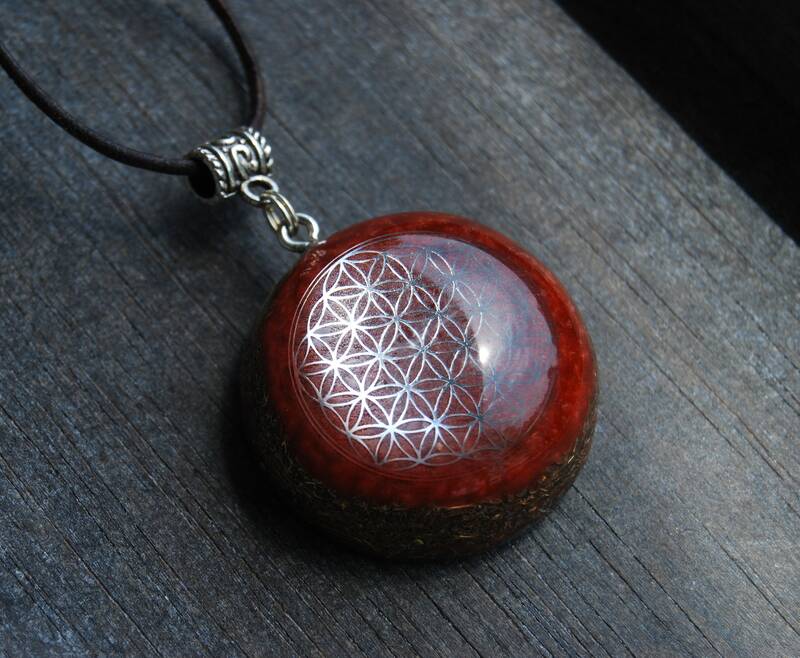 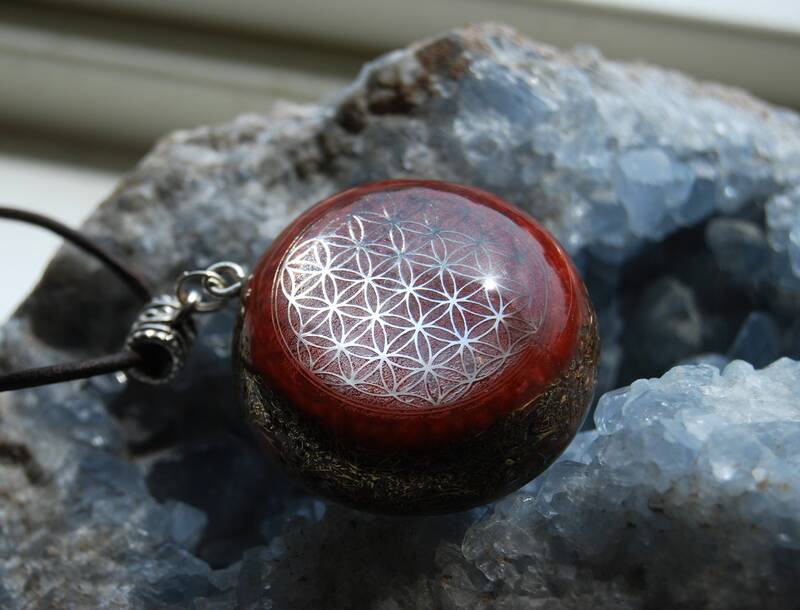 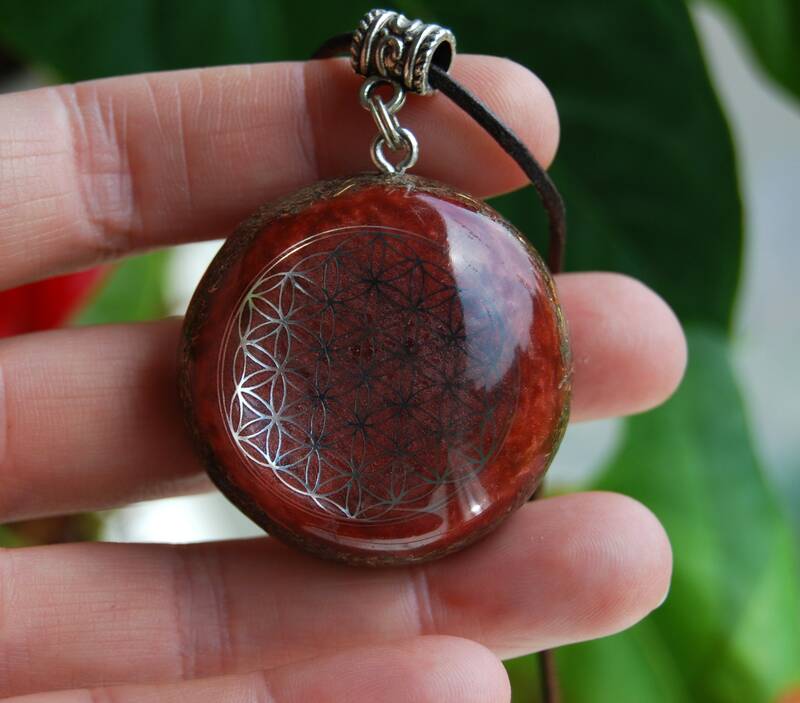 This unique 4 cm / 1.6" in diameter Orgonite® pendant contains at least 50% metal shavings (brass, iron aluminium and copper) which is required to clean stagnant energy according to William Reich's research. 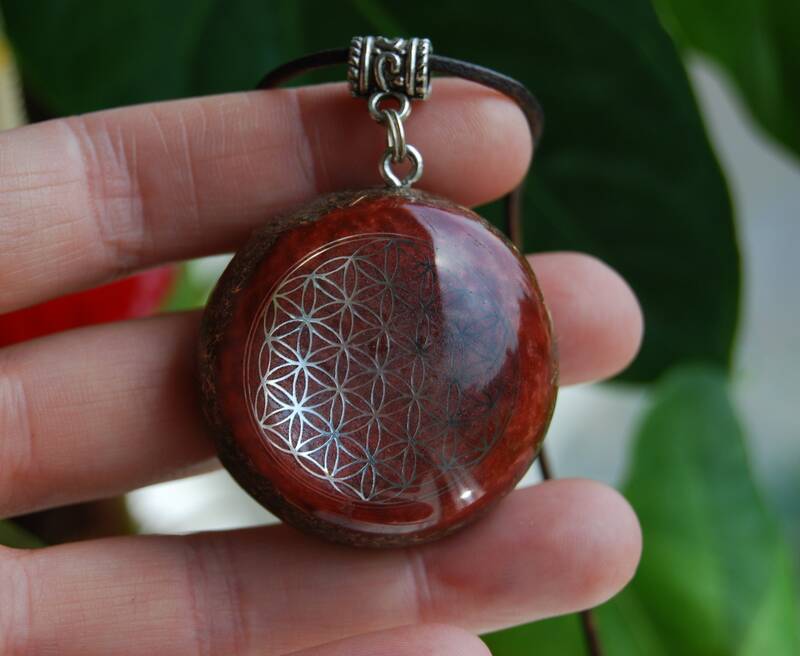 The main stone is red Jasper. 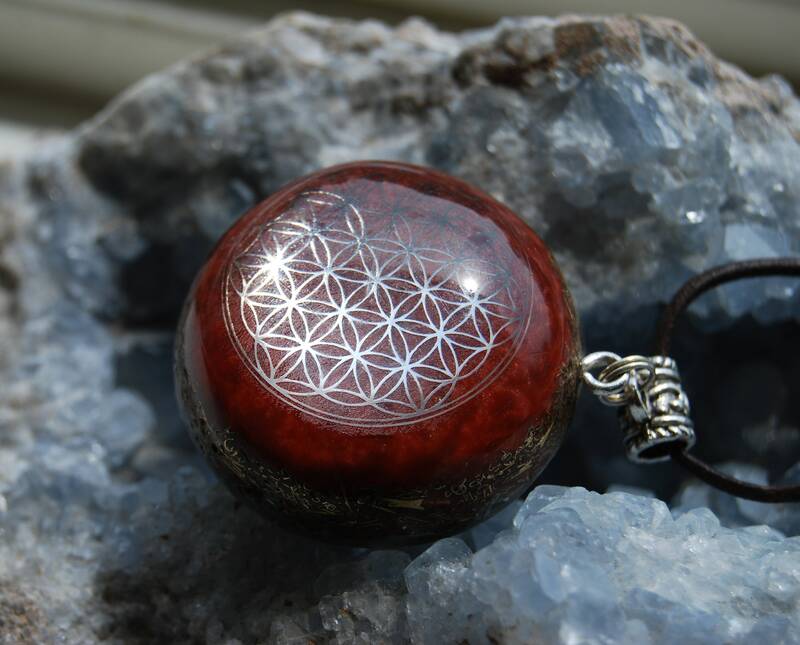 It furthermore contains Pyrite (to enhance and deflect ELF waves), Selenite (to clean and charge), black Tourmaline (to protect and ground excess energy) ,Rhodizite (to amplify the other crystals) and clear quartz (for piezo electric effect) all within a durable resin setting.